India: A Tower of Babel? Bengaluru is a good case in point; Kannadigas form only 25% of Bengaluru's 11 m population, and the IT and MNC employees constitute 10%. People want to learn Kannada to make their life easier, reduce misunderstandings, have effective and efficient transactions, save time and effort, seek help, gain acceptance and respect, and to make friends. Courseloka says, “Learn Kannada to get the Kannada advantage”. Courseloka was founded in 2016 in Bangalore the IT city, and Silicon Valley of India. Currently, the company offers Spoken Kannada and Hindi courses. Courseloka surveyed and observed various difficulties faced by North Indians new to Bangalore as they went about their daily activities while settling in their job and the city. While they could 'just manage' with 'tuta-futa' broken Hindi or English, they had faced language issues at some time or the other, and wanted to learn 'at least some Kannada'. When we offered a solution, their most requested topics were how to make inquiries, socializing, directions/travel, shopping, food and restaurant, accommodation, medical and emergencies. Lessons are conversational, customized and localized to a city, in current times around the year 2016-17. Hindi speakers said they want to learn Kannada but find learning a South Indian script daunting. Hence, courseloka has created spoken language courses, without the script, transliterated in your language, supported with audio and images. In addition, you can learn from your own language, for example, you can learn Kannada from English, or Hindi from Tamil, and so on. Courseloka's language courses are online, on Mobile App and desktop. This suits India's busy and mobile populace which is increasingly on smartphones and online. Given today's milieu of a busy working population, dispersed people in an expanded city, traffic, and pollution, our technology saves time and effort whilst providing easy learning solutions. They can download Courseloka's lessons in the Mobile App, and refer offline on the spot, have 24x7 access, anytime, anywhere, and learn at their own convenience. Viola, now you can learn an Indian language, easily and quickly. I was just a 3-year old kid when I migrated to Bangalore from Delhi, in the 1970s, with my parents and brothers. 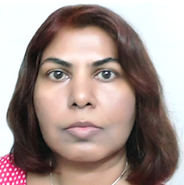 I left behind my early formative years, filled with memories, abruptly and unwillingly parted with many cousins and relatives, with whom I spoke fluent Hindi, my mother tongue. As I grew up in Karnataka, mostly Bangalore, I picked up Kannada and English, playing with school friends and social interactions, and called myself a 'South Indian'. Further education and work took me to more cities, but, I returned 'home' to the city I call home, my 'ooru', and 'Nanna Bangalore'. Over the last 10 years, slowly and unknowingly, I became disconnected with a changing city. 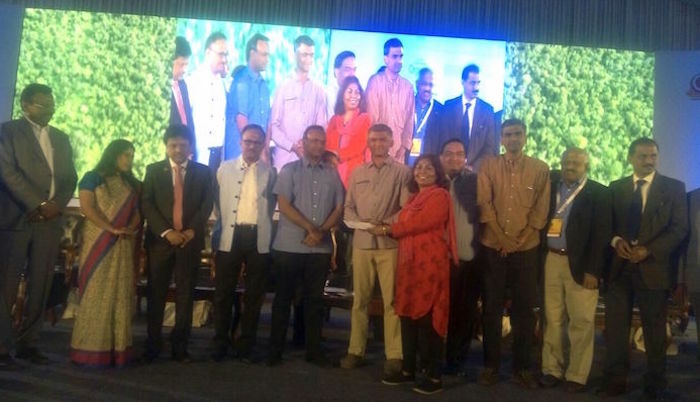 Recently, I have resumed speaking in Kannada, and find it easier to connect to the city's citizens. Speaking in Kannada signals 'she is one of us' and works as a key which opens doors. I left my hometown, Delhi, and my life with my 'kundla' of 100 relatives and moved to Bangalore with my family in the 1970s. I did not know anybody in Bangalore and knew not one word of Kannada, or Karnataka's culture and customs. In those times, everybody spoke in Kannada, everywhere, for everything. 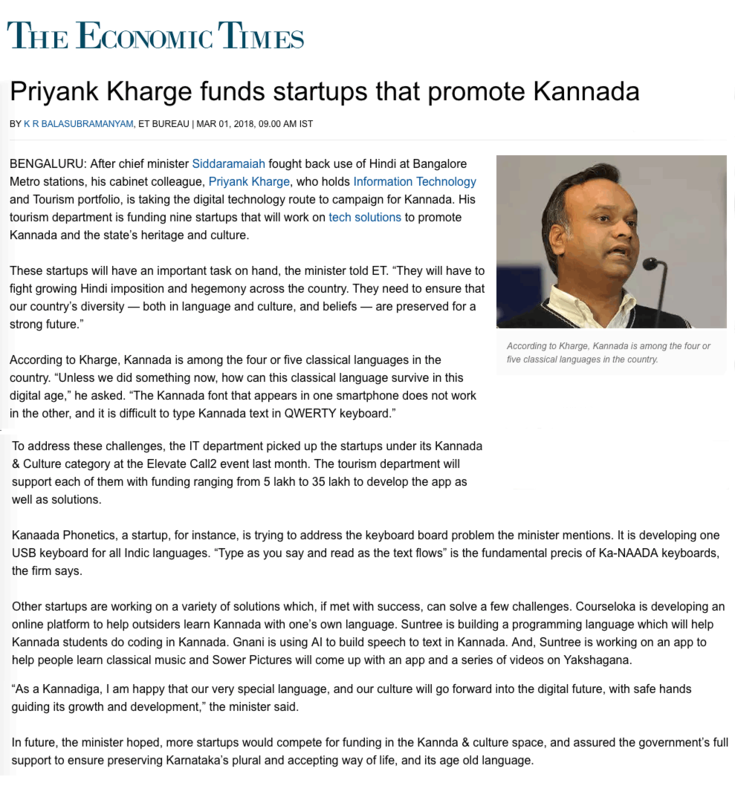 They also spoke more languages, but Kannada was the 'must know' 'language currency'. As the years went by, we integrated with the society, established our reputations, and became well known in Karnataka. Bangalore was then a small city, compared to today, but there was no fear when going anywhere alone. Bangalore has become a big city now, as people came from other states for work and they spoke many languages. 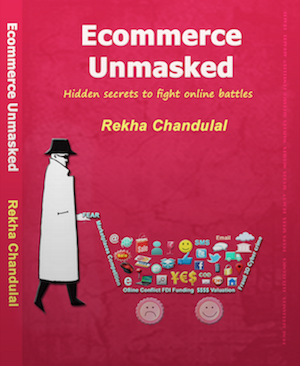 She is the author of her book 'Ecommerce Unmasked: Hidden secrets to fight online battles', an essential handbook for e-commerce practitioners and entrepreneurs, with 40 real cases. Rekha arrived in Bangalore in the 1970s as just a 3-year old kid. Her mother tongue is Hindi and she picked up Kannada growing up and schooling in Karnataka, mostly Bangalore. She went to other states for education and work, but returned 'home' to the city she adopted as 'Nanna Bangalore'. She is speaking in Kannada again to connect with the city's citizens and its pathos. 1 Feb 2018: 'Learn English' courses live. 12 March 2018: iOS App live on App store. 16 April 2018: Learn Kannada with Telugu/ Tamil courses live. 19 September 2018: Learn Kannada for Classes 1-3 courses live. Download the ‘courseloka’ Android App from Playstore. Download the ‘courseloka’ iOS App from iTunes. 1) Registered: Indiranagar (Landmark-150 metres from Indiranagar Metro station), Bangalore, India.